Your living room should be a place where you go to feel relaxed. Where your family gathers after long days and where you celebrate special occasions year after year. With this living room and family room sectional collection, you can now achieve the look, comfort and relaxation you desire. The Walter Contemporary Sectional Sofa with Accent Pillows at Morris Home in the Dayton, Cincinnati, Columbus, Ohio, Northern Kentucky area. Product availability may vary. Contact us for the most current availability on this product. 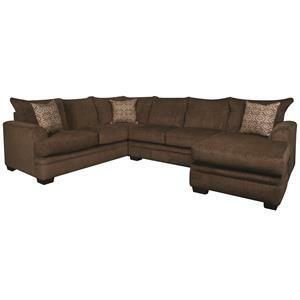 852257969 LAF 1 Arm Sofa with Chaise 1 90" 39" 43"
852318753 Right Arm Facing Corner Sofa 1 102" 39" 43"
Your living room should be a place where you go to feel relaxed. Where your family gathers after long days and where you celebrate special occasions year after year. With this living room and family room sectional collection, you can now achieve the look, comfort and relaxation you desire. 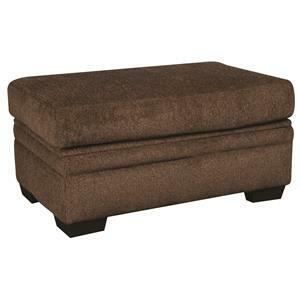 This collection is covered in a soft chenille, 100% polyester fabric. The Walter collection is a great option if you are looking for furniture in the Dayton, Cincinnati, Columbus, Ohio, Northern Kentucky area.